The website www.sunhaze.com.au (Site) is owned by Lana Reid ABN 19384663624 (SunHaze). By accessing, browsing and/or using this Site you agree to the following terms and conditions and you agree to use the Site in accordance with all applicable laws. If you do not agree to the following terms you must cease the use of this Site. The terms on this Site replace all previous representations, arrangements, understandings and agreements between you and SunHaze relating to its subject matter and contain the entire agreement between you and SunHaze relating to that subject matter. The content available on the Site is provided on an “as is” basis. SunHaze does not represent that the information contained in the Site is accurate, comprehensive, verified, complete or error free. SunHaze will attempt to keep the content on the Site up to date. The content on the Site is liable to change at any time. 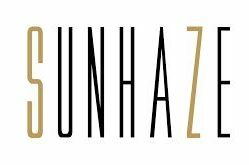 SunHaze does not accept responsibility for any loss or damage, however caused (including through negligence), which you may directly or indirectly suffer in connection with your use of the Site or any linked website. The copyright in the content on the Site is owned or licensed to SunHaze. All rights are reserved. Other than for the purposes of, and subject to the conditions prescribed under the Copyright Act 1968 (Australia) or similar legislation which applies in your location, you may not in any form or by any means adapt, reproduce, store, distribute, print, display, perform, publish or create derivative works from any of this website; or commercialise any information, products or services from this website. All prices are in Australian dollars and are inclusive of Australian GST. All your credit and personal details are safe and secure. To use Afterpay you must pay with a credit or debit card, be over 18 years of age, have an Australian residential address. We do not refund sale or clearance items.